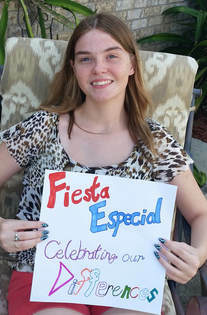 During the 2018 Fiesta season, the Fiesta Especial® Royal Court will represent Fiesta Especial® in the community demonstrating to others the abilities of all individuals to achieve their dreams...bringing visibility to the leadership and contributions individuals with disabilities make in our community each day. You're invited to click on the Candidate's Name below to make a donation to his/her campaign. Vanessa attends Canyon High School in New Braunfels. 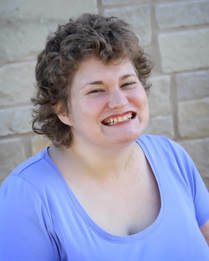 She participates in many sports, such as power soccer, Little League Challenger baseball, adaptive water skiing, and bowling. She also enjoys dancing, going to the movies, eating out and attending church. When asked why she wanted to join the Fiesta Especial Royal Court program. She replied, “ It was fun last year, meeting new people, being on the T.V. and radio. I like going to new places”. Tommy has selected The Arc of San Antonio to benefit from his Fiesta Especial Royal Court Campaign. The Arc of San Antonio was founded in 1954 by parents who desired to develop networks and services for their children with special needs. The organization provides a range of programs and services that address the issues people with disabilities face. ​Laura has selected Eva’s Heroes to benefit from her Fiesta Especial Royal Court campaign. Eva’s Heroes works to enrich the lives of individuals with intellectual special needs by providing an inclusive setting built on four tenets: interact, grow, learn, and love. ​Laura is caring, passionate and determined. She does not allow her autism interfere with her dreams. Laura has accomplished many of her dreams such as publishing her first children's book called “Meet Genevive” and graduating from the Academy of Morgans Wonderland. When asked why she wanted to participate on the Fiesta Especial Court , she responded that she wanted show everyone that anything is possible, Autism has not stopped her from having big dreams but has allow her to look at life with her heart not her eyes. 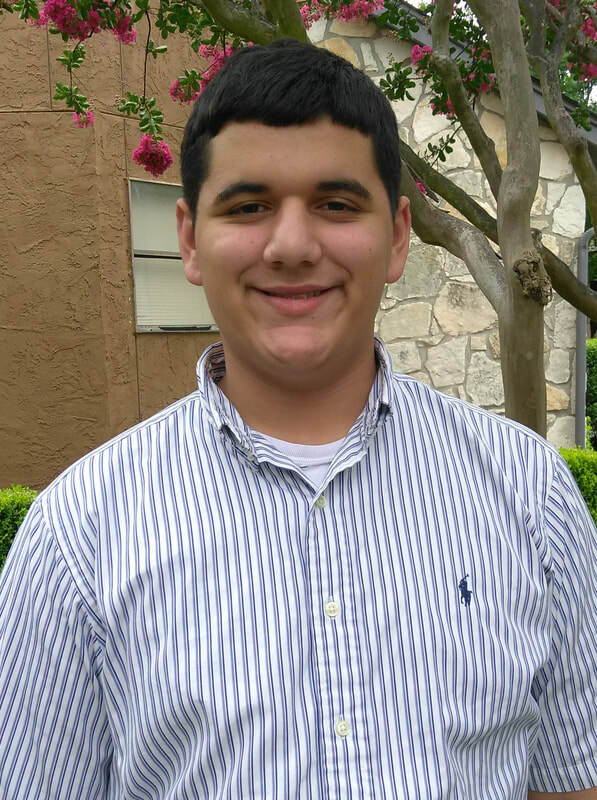 HOW JULIAN’S CAMPAIGN SUPPORTS OUR COMMUNITY: Julian has selected The Academy at Morgan’s Wonderland to benefit from his Fiesta Especial Campaign. The academy at Morgan’s Wonderland provides an alternative to traditional special education programs and services. Julian is a kind-hearted, gentle, and happy person. He is always willing to help others whether it be holding the door open for others, picking up dropped items or simply a gentle pat on the arm if he sees someone sad or distress. His love of life and dancing are contagious. He gently encourages shy friends to dance with him and helping them out of their comfort zone. 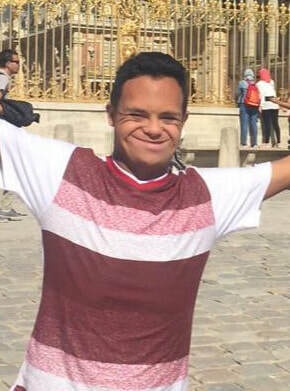 Julian loves to share happiness with others for that reason, Julian wanted looked forward to being part of the Fiesta Especial Royal Court, “ I like to make people happy by dancing and laughing”. HOW JORDAN’S CAMPAIGN SUPPORTS OUR COMMUNITY: Jordan has selected the Ferrari Kid to benefit from her Fiesta Especial Royal Court campaign. The Ferrari Kid grants kids coping with different sickness to a “ celebrity-like” experience for the day by being picked up in a Ferrari. This experience allows the kids to disregard from their battle and enjoy themselves. 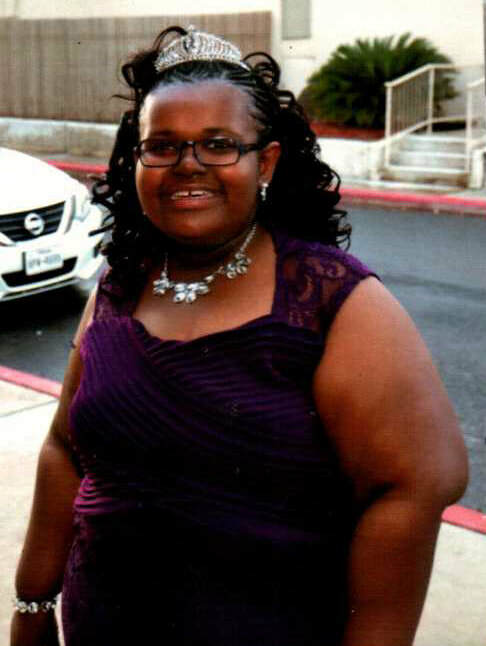 Jordan is very outgoing and proudly describes herself as a “survivor”. She loves to be around people especially meeting and greeting them with a smile and a hug. Jordan is very involved with bible study, Sunday school and other activities in her community’s church. She also enjoys participating in the Special Olympics and being a member of the The Ferrari Kids organization. 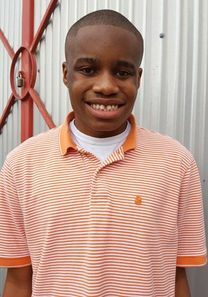 HOW ALEX’S CAMPAIGN SUPPORTS OUR COMMUNITY: Alex has selected Dolphin Boutique-Holmgreen Center, Northside ISD to benefit from his Fiesta Especial Royal Court campaign. Dolphin Boutique- Holmgreen center is a work based learning program which provides work experience and opportunities for educational, physical and emotional growth. Alex is very social and friendly. He gives back to his community by helping his elderly neighbors with the garden, taking out the trash and also volunteers at SA Basura Bash. ​Grace has elected to have 100% of her campaign go to help underwrite the costs of special education classes in and around San Antonio to attend Fiesta Especial Celebration Day, a one day community instruction program during Fiesta. ​Grace is outgoing, happy and always sees the good in people. 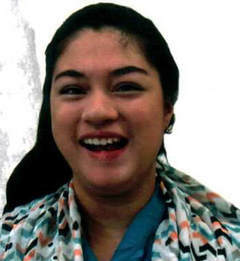 She is active in her church’s youth programs and has volunteered in Fiesta Especial Run since 2011. When asked why she wanted to be part of the Fiesta Especial Royal Court she shared that she wants people to see what life is like with dyslexia and ADHD so they can provide support and encouragement to others. 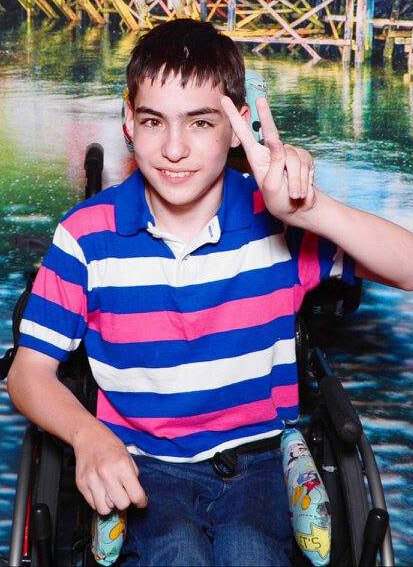 HOW ANTONIO’S CAMPAIGN SUPPORTS OUR COMMUNITY: ​Antonio has selected Spina Bifida Texas to benefit from his Fiesta Especial Royal Court campaign. Spina Bifida Texas is an organization committed promoting prevention, educating individuals and providing support and encouragement to families affected by Spina bifida. Antonio is very outgoing and genuine. He loves to talk and hug everyone he meets. He participates in the Miracle League of San Antonio, where he sings the National Anthem before each of his games. Antonio also participates in North side's Special Olympics. Alex has selected Any Baby Can to benefit from his Fiesta Especial Royal Court Campaign. Any Baby Can is an organization that provides a variety of many health and wellness services to families. ​Alex is always willing to help others. 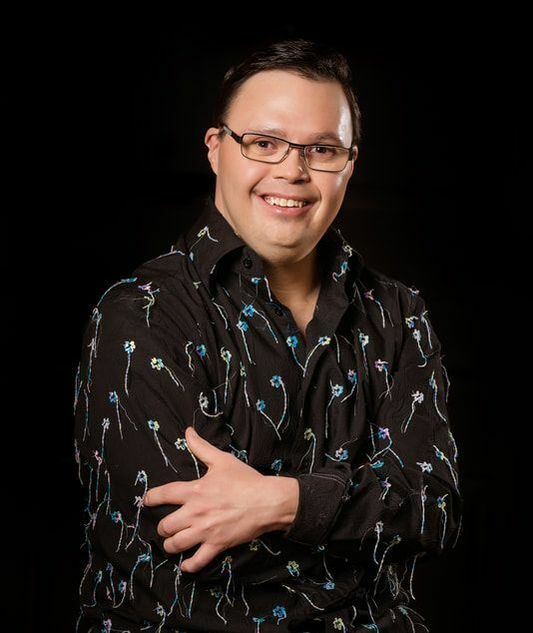 The reason why Alex wants to participate on Fiesta Especial Royal Court program is to be more involved in the community, also to increase the support and awareness in our community of the people with disabilities. December 10th, 2017: Fiesta Especial Royal Court Reveal - will take place at La Hacienda from 4:30pm - 8:30pm. $30/person (children under 6 are free). Live music, food and fun for the whole family. February 7th, 2018: Fiesta Especial® Royal Court Coronation will take place at TBD from 6:30pm - 8:30pm. $35 Admission includes admission and reception. March 24th, 2018: Fiesta Especial® Royal Court Meet & Greet will take place at Aggie Park from 3pm - 7pm. Free and open to the public, this is a wonderful opportunity to meet the 2018 Royal Court. Activities for kids! Bake Sale! Fiesta Fun! April 24th, 2018: Fiesta Especial® Celebration Day will take place in Alamo Dome Lot C from 10am - 3pm. Advanced Registrations Required. Free to individuals with disabilities and their companions. April 21st, 2018: Fiesta Especial® Royalty Run 5K & Parade will take place starting at the City Hall in Windcrest at 8am & 10am respectively. The parade is free to spectators.